For over 40 years, Patagonia has been well known for contributing in the fight to protect wild places through supporting grassroots environmental organisations, highlighting issues that would otherwise not come to the public eye, taking a stand on growing consumption and putting systems in place for people to be able to use products longer. In the past year, the organisation has even sued the Trump Administration for its illegal actions to try and eliminate the largest area of protected land in the U.S.
For years, and in particular through the DamNation campaign, Patagonia has been taking a strong position on fighting to protect wild, free-flowing rivers through removing old “deadbeat” dams, and stopping the construction of new dams. And since 2012, Patagonia has been supporting the Save the Blue Heart campaign in Europe, with the aim to protect 35,000 km of rivers in the Balkans from diversion projects, many of which don’t have proper environmental assessments and are developed in protected areas including national parks. 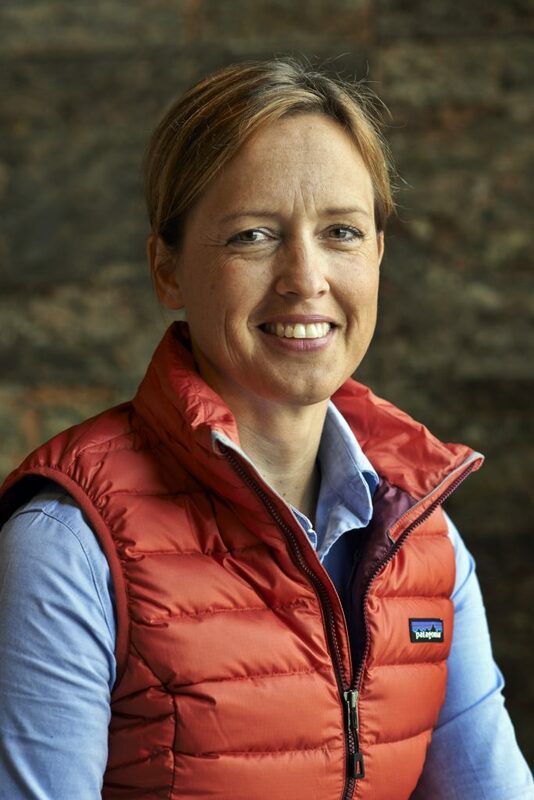 Mihela Hladin Wolfe is Director of Environmental Initiatives for Patagonia Europe. We spoke with her about hydropower constructions and their impact on rivers, as well as the alternatives to this massive environmental problem that sees the blue hearts of our world cease to flow. Mihela thanks for your time today! I was wondering, where does your commitment to the environment come from? I was born in a fast-growing coal mining town. Between my grandparents’ small farm in the mountains and the industrial city just behind the hill, it was like living in two different, disconnected worlds — one intertwined with nature, to support self-sufficient life, and another, dominated by us humans and our power over nature to support our growing needs. At that time, we held annual events celebrating the millions of tonnes of lignite in our area, and this was considered progress. The air we breathed was impregnated with high levels of sulphur dioxide, there was a dead lake in the middle of the city and the surrounding pine forests were dying — none of this mattered. This is how my environmental path started, as well as my determination that change is possible. Later on, I worked in China for years, through rising consumerism and thirst for resources, developing environmental programmes for companies and schools. And then in 2016, back in Europe, I joined Patagonia to develop environmental initiatives for the Europe, Middle East and Africa (EMEA) region. Hydropower constructions have rocketed by 300% across the western Balkans in the last two years. What’s the reason behind this? We know we need to move away from fossil fuels and most of the world is committed — to some extent — to do so. Within our ongoing thirst for growth, there is an underlying fear that we need more energy to fuel our future needs. To some extent, this works in favour of accelerating investment in renewables, However, when it comes to taking energy from rivers, we are still creating large, negative environmental and social impact because we haven’t redefined what is, and is not, renewable energy. For centuries, dams have been built for flood control, irrigation, municipal water supply and power production. All these needs can now be met more effectively through conservation, improved technology and better planning, without the negative ecological impact caused by blocking and degrading an entire watershed. In the Balkans, about 3,000 dam and diversion project plans are being billed as “green power initiatives”. The Save the Blue Heart of Europe campaign started in 2012 with Riverwatch and Euronatur — organisations undertaking the first research on these 35,000 river kilometres. Since then, there has been an ongoing effort and struggle at the same time, as they have witnessed new projects starting each year, projects already in the works despite having no environmental assessments and projects being developed even in protected areas such as national parks. Many of these projects involve small hydropower plants, so we’re often talking about small amounts of energy, far outweighed by the devastation brought to local people and ecosystems. While big projects are flooding the valleys, many small ones are drying the smaller rivers and tributaries and changing nature and the lives of people in the communities on a large scale. The number of free flowing rivers, a lack of transparency in financing and planning, and the current economic situation are making the Balkan region vulnerable to this short-term decision-making. And all of this is happening at the same time as we are removing dams in Europe and the U.S. and finally recognising the value of healthy rivers. This is why we cannot turn a blind eye to the damming of the last wild rivers in Europe. What is the impact of hydropower development on rivers in general? Rivers are the arteries of our planet; they provide clean water for millions of people, they flush carbon from land, into the ocean, effectively taking it out of the atmosphere. Healthy rivers and their floodplains protect us against floods and droughts that grow increasingly severe as an impact of climate change. They move nutrients and vital sediment and feed plankton and fish. Dams threaten all of the above. They actively contribute to climate change, through significant emission of greenhouse gases from reservoirs. They disrupt river flows, degrade water quality, block the movement of a river’s vital nutrients and sediment, destroy the habitat of fish and wildlife, and eliminate recreational opportunities. With changing weather patterns, hydro-power is also becoming unreliable, due to lower levels of rain and snowfall. These effects, and others brought on by dams and diversions, make rivers and their surrounding communities less resilient to the impacts of climate change. We need our free-flowing rivers to serve as refuges for a diverse array of species and to continue to serve human communities in times of growing water scarcity. The Balkan Peninsula, alone, is home to 20,000 pristine, free-flowing kilometres of rivers between Slovenia and Albania. Thus, the destruction brought by dams and diversions is both an environmental issue and a human rights issue. What would be a better alternative than hydropower to provide cheap and clean energy to the people in this region? The whole region has an opportunity to make a step toward a future of lower-impact energy and water sources that, combined with conservation and increased efficiencies, cause less harm to ecosystems, communities and cultures. Solar and wind power are not only lower impact, but also, often, bring with them more jobs and fewer cost overruns. 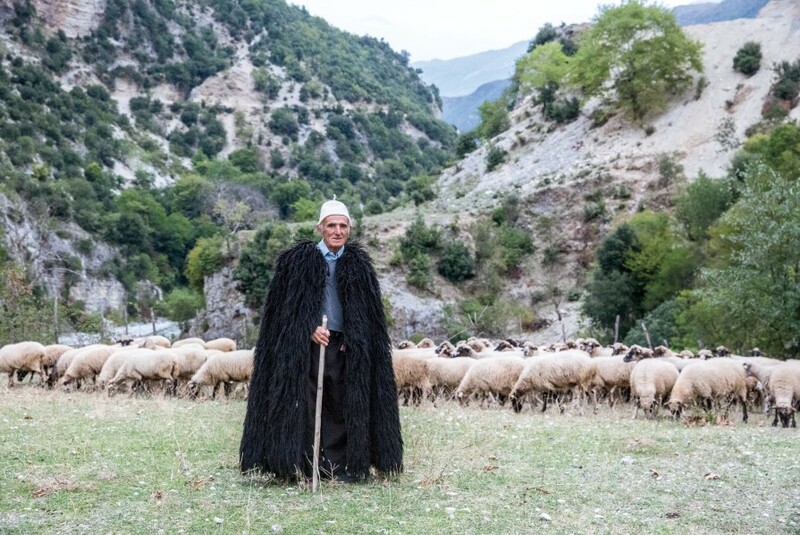 As an example of the twisted logic at work, in the south of the Balkans, there are 300 days of sun every year, and yet 98% of the whole country’s electricity relies on hydropower, rather than solar power. 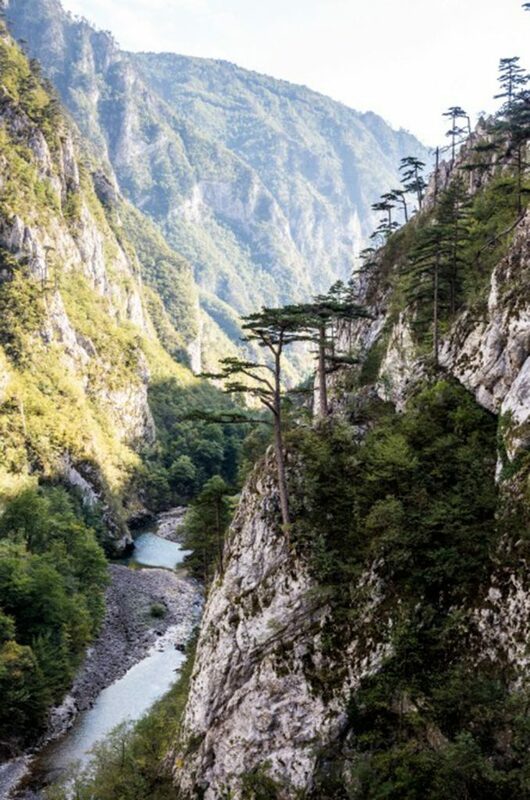 Or take the Vjosa River — it flows freely, a distance of 270 km from the Greek mountains to the Adriatic Sea and yet the plan is to build 38 hydro projects within its river basin, destroying its incredible ecological value. Are you working with local organisations and local government? We are working with environmental organisations across Europe. The size of the threat in the Balkans — with 3,000 projects planned or underway — is an enormous challenge for local communities and activists. Our role is to support and amplify their voices and to bring this region, the Blue Heart of Europe, to an international consciousness, in particular through a documentary and a petition. Perhaps most inspiring to us have been the stories of local communities fighting to protect their rivers. 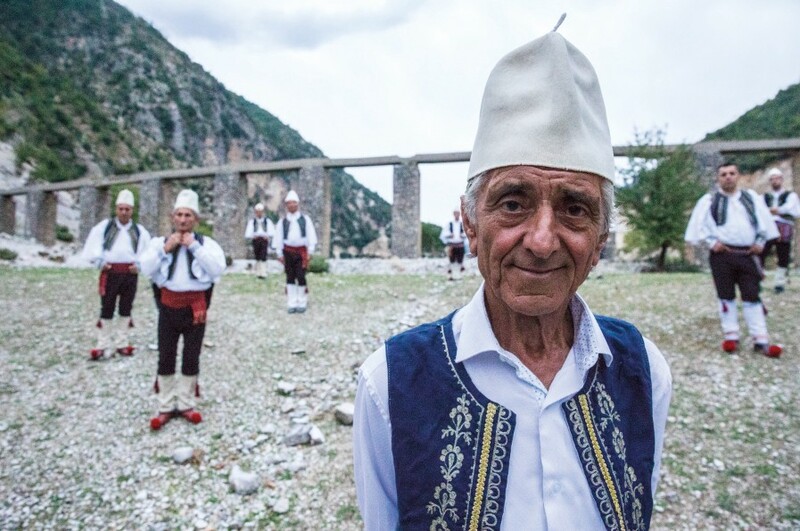 In Bosnia and Herzegovina, for example, the citizens of Kruscica have been sitting in peaceful protest, defending their river from upcoming construction, and standing up for their right to drinking water and a healthy environment. The protesters — mostly the women of the community — have blocked construction equipment and personnel, standing their ground even when faced with riot police who forcefully tried to remove the blockade. The protest is still ongoing, and just across the hill, a community won the battle in 2013, guarding their river for 325 days. What can we all do to join the fight and protect the “Blue Heart of Europe”? We, as businesses and consumers, can take responsibility in making decisions about where our energy is coming from. And over the upcoming months, we want to mobilise people to take notice of what is going on in the Balkan region and go forward with action by signing the petition at patagonia.com/blueheart, and attending a Blue Heart film screening in their area.